ALL NEW from MALCOLM SMITH! – Fear Not! The first installment of Malcolm Smith’s DVD Study Series for Small Groups is Here! Introducing a new video teaching series by Malcolm Smith. 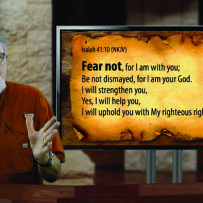 Fear Not is the first in a series of DVDs developed by Unconditional Love Int’l designed small group studies. So many believers are meeting in homes across the country to learn and study the word of God. We want to help you put Love into Action and become a disciple in your community. These new videos are a great way to introduce new people to Malcolm Smith’s teachings. Each DVD comes with a study guide booklet and contains over 2 hours of illustrated teaching by Malcolm – delivered in ten, quick and easy 12-minute sessions. After each session you can use the included Study Guide and Reflection Questions to facilitate a conversation with your group and really explore each new concept as it applies to your personal situation. 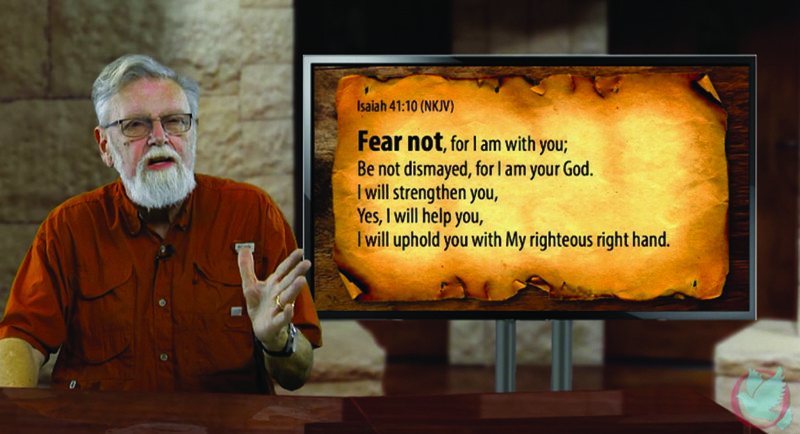 The first DVD in the series – Fear Not – tackles the topic of fear and anxiety in our lives. Follow Malcolm through each session as he exposes the lie that is the source of our anxieties, and shines a light on how we can rest in the strength of God when we need Him the most. FEAR NOT – Session #3: Who Is God…Really? Each DVD comes with one (1) Study Guide. Additional study guides may be ordered separately.